Can Benzodiazepine Withdrawal Cause Anxiety? What About Other Medications? Substance-induced anxiety disorder is where symptoms normally associated with anxiety are triggered by the ingestion of a drug (prescribed or illicit) or by discontinuing a drug. In the case of benzodiazepines, this is a key risk factor in withdrawal. What is substance-induced anxiety disorder? Substance-induced anxiety disorder is where symptoms normally associated with anxiety are triggered by the ingestion of a drug (prescribed or illicit) or by discontinuing a drug. If the anxiety was present before you had the drug, it is not considered a substance-induced anxiety disorder, even if the drug worsens your symptoms. Chemicals that affect thoughts, emotions, and actions are made in the brain and when they are out of balance, this can affect the way you think, feel, or act. Many drugs have psychoactive elements, which means that they alter the balance of these chemicals. A psychoactive or psychotropic substance is one which acts upon the central nervous system and temporarily alters brain function; this leads to short-term changes in perception, mood, consciousness and behavior. Some drugs can result in anxiety while they are being taken; whereas other drugs can cause anxiety for several weeks after they are stopped. Anxiety may also be induced by sudden withdrawal from a substance. The Diagnostic and Statistical Manual of Mental Disorders (DSM-5) states that that diagnosis is only made when anxiety symptoms are greater than what would normally be expected during intoxication or withdrawal. Symptoms must include considerable anxiety, panic attacks or obsessive-compulsive symptoms and must develop during or within one month of ingestion or cessation of the substance. The symptoms must not be considered otherwise attributable to a pre-existing anxiety disorder and must be significant both in terms of the distress they cause and the effect on daily functioning. Diagnosis of a substance-induced anxiety disorder must also be independent of an anxiety disorder that is part of a general medical condition. For example, conditions such as hyper - and hypothyroidism and blood sugar issues can lead to anxiety symptoms. As medications for these conditions can also result in symptoms of anxiety, it can be difficult to ascertain their cause. 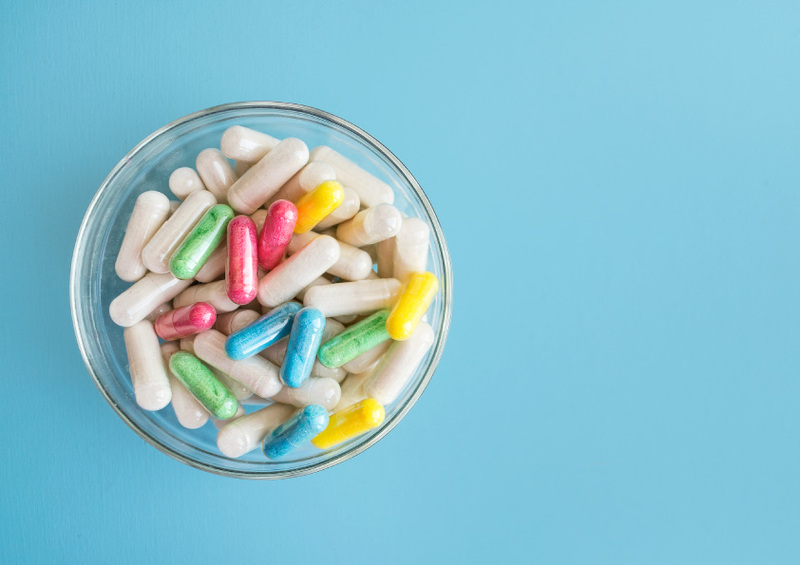 Benzodiazepines (also known as tranquilizers) were introduced in the 1960's and used to be the most widely prescribed medication for anxiety; indeed they were the most commonly prescribed of all drugs in the world in the 1970's. They were taken by an estimated 20 percent of all women and ten percent of all men in Europe at this time. The drugs were prescribed for a variety of complaints including anxiety but also to cope with ordinary life stressors and were taken over the long-term, often for years. In the 1980's the growing problem of a generation of adults with tolerance and dependence issues became clear and there was a drive to reduce prescribing. These drugs became very popular because they work rapidly – in as little as half an hour. However, when taken for more than a short period, benzodiazepines cause physical dependence and tolerance, which takes place quickly (within a couple of months, but in some in just a few weeks). They are still unfortunately prescribed (more often and for longer than is recommended) as they can be very effective during panic attacks or another overwhelming anxiety episodes. Benzodiazepines slow down the central nervous system, which results in physical and mental relaxation. However, it can also lead to unwanted side effects often described as being akin to a “hangover”: people may feel sleepy, unable to think clearly and uncoordinated, even on low doses. These include many of the symptoms common to all anxiety disorders and some that are specific to benzodiazepines, such as visual/perceptual distortions, hallucinations, sensory hypersensitivity and, on occasion sometimes psychotic or confusional states. Rapid withdrawal following long-term use can in extreme cases result in seizures. Many people mistake withdrawal symptoms for a return of their original anxiety condition, leading them to want to recommence medication. Unfortunately, anxiety symptoms can persist for several months. There is a range of neurological symptoms (tinnitus, motor, and sensory symptoms and cognitive impairment) which unfortunately can persist for a long time; indeed it has been suggested that they may cause permanent neurological damage. Many medications originally prescribed for the treatment of depression are also now prescribed for anxiety. They are considered preferable as the risk for dependency and abuse is smaller in these medications. However, antidepressants take up to four to six weeks to begin relieving anxiety symptoms and, in the case of SSRIs (serotonin-reuptake inhibitors), often increase anxiety symptoms during this period. Paradoxically, like benzodiazepines, stopping taking them too quickly can also lead to anxiety symptoms, as well as other worrying side effects. The basic principles for withdrawing people from therapeutic doses of anxiety medications (especially benzodiazepines but also anti-depressants) are to gradually reduce the medication until stopping and introduce anxiety management as required. The importance of peer and psychological support cannot be underestimated. Many people benefit greatly just from encouragement and correct information, therefore, self-help groups can be invaluable; although some people may require more formal psychological therapies such as anxiety management or cognitive behavioral therapy.